Mallorca is renown for its excellent walks. Walks range from the gentle strolls around Puerto Pollensa to the more ambitious walks in the Tramuntana mountains further South. Several companies offer walking as part of a holiday package - check out our list of activity holidays. You may be able to join the walks of these companies as a day visitor. Check out our list of walking books and maps. Mountains of experience to help you discover the very best of Mallorca on foot. A favourite destination for walkers wanting to visit the med, this Balearic island offers variety beyond compare! Mallorcan Walking Tours are based in the pretty northern village of Port Pollensa with its backdrop of rugged hills. Our passion is Mallorca and we offer Guided Tours, Self Guided Treks and Tailored Group Events. We also offer a gem of week travelling through the fabulous Tramuntana mountains - The “Mallorcan Classic Trek” with full vehicle support to help move your baggage between venues whilst you enjoy the freedom of the hill. Starting in the picture postcard village of Valldemossa and finishing in the northern town of Pollensa. Late spring you’ll find us in the enviable location of San Telmo at the islands south west tip, staying H/B at a family run venue close to some crackin walks! We also venture to other stunning parts of Spain such as La Gomera in the Canaries, the mighty Sierra Nevada in Andalucia and soon the wonderful Rioja wine region in the north of the country. If you need a guide - 25 yrs experience counts for a lot when asked to tailor days / weekends or holidays for groups or friends and this is now our biggest business. Mallorca has long been a special place to visit for many reasons and now you've got another one! This was the first walking guide for Mallorca, the guide that won Sunflower the Sunday Times "Oscar" for best travel guide - and eventually made the island one of the most popular walking areas in Europe (and a favourite destination for bird-watchers, too). The author has lived on Mallorca for 30 years and knows the island intimately. This completely revised 8th edition features several newly drawn maps, for instance to show the area north of Valldemossa that is now restricted to walkers who have the relevant pass, and the recently inaugurated GR221 ('Drystone Route') – a long-distance walk which is covered almost in its entirety by the 60 long and short day walks in the book. There are also 10 car tours with accompanying fold-out touring map, as well as plans of Palma and Soller, bus, train and boat timetables and panels of information on Mallorcan customs and features of the landscape. A free online update service informs users of any route-change information. "Walking in Mallorca" quickly established itself as the most comprehensive guidebook to the island, with particular emphasis on the rugged Serra de Tramuntana. June Parker's routes have been walked afresh, carefully checked and amended where necessary, and are now presented with new mapping and plenty of colour pictures. This book will entice walkers well off the beaten track, enabling them to explore the most diverse terrain around the island. Rugged mountain walks contrast with remote valleys, while waymarked trails give way to long-forgotten mule tracks and hidden mountain passes. Some walks run close to breathtaking cliff coastlines, while others pass through sleepy villages where welcome refreshment can be obtained. Birdwatchers, geologists and historians will find abundant interest throughout Mallorca, and a full introduction explains about facilities around the island. Language notes are given in native Catalan and Castilian Spanish, enabling visitors to pass the time of day with local people and make the most of their visit to the island. 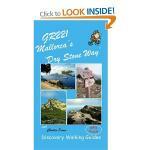 Looking for one Mallorca guide book that has all the walking adventures you could want? New for 2014 is Walk! Mallorca. 53 fully detailed walking routes ranging from easy strolls to serious mountain hikes packed into 160 pocketable pages. Charles Davis has selected 53 walking adventures, from Peguera in the west, across the Tramuntana to Cap de Formentor in the northeast and down to Playa Alcudia to produce his new (2014) Walk! Mallorca. From family friendly strolls through energetic leisure walking up to big mountain hikes, there are adventures for all walking abilities. Every route has Route Summary; Ratings for Effort, Time, Distance, Ascents/Descents and Refreshments; Fully detailed description, frequent timings to aid navigation; full colour 1:40,000 scale Tour & Trail Map of the route; GPS waypoints for key points. For Garmin users Tour & Trail Custom Maps are available as digital downloads from Discovery Walking Guides website dwgwalking.co.uk for use in Garmin gps units, Garmin Basecamp and Google Earth. Walk! Mallorca walking routes are highlighted on these maps complete with their walk numbers and direction arrows to give you real time mapping on your Garmin as you enjoy these walking adventures. Recommended - Fully detailed Mallorca adventures with our new Mallorca North & Mountains Tour & Trail Super-Durable Map 6th edition by David Brawn and Walk! 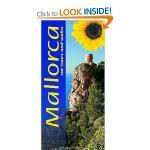 Mallorca guide book by Charles Davis. Our new 6th edition gives you a super detailed, up to date, map of the Tramuntana region stretching from Peguera-Costa Calma- Santa Ponca in the west then running along the mountainous region to the very tip of the Formentor peninsula at Cap Formentor. With a size of 1,080mm by 600mm at 40,000 scale on a double sided map sheet you get a lot of Mallorca on this map while still being easy to read thanks to our Tour & Trail design standards. Those essential features of petrol stations, refreshment stops, miradors and off-road parking are easily seen while our background altitude shading plus 50 and 100 metre contours and spot heights bring this beautiful landscape to life. Special 'concertina map fold' means your map unfolds quickly, and more importantly folds back to its compact pocket size easily and quickly.Super-Durable means we have printed the map on 'Polyart' to produce a lightweight map that feels like silk but is as tough as old boots to outlast the worst of conditions and fold up like new after every use. All the 53 walking routes from our Walk! Mallorca guide book and the route of the GR221 long distance trail are specially highlighted making these walking routes easier to find on the map and easier to follow on the ground. If you are planning Mallorca adventures on and around the Tramuntana then this is the essential map for you. Recommended - Mallorca’s Serra de Tramuntana mountains presented by Editorial Alpina at 1:25,000 on a set of two light, waterproof and tear-resistant, contoured and GPS compatible, double-sided maps with an overprint for local hiking trails, GR221 long-distance route, sites for various outdoor activities, accommodation options, etc. Coverage extends from Andratx to Cap de Formentor and Alcúdia. The maps have contours at 10m intervals, relief shading and numerous spot heights, plus colouring to show different types of vegetation. An overprint highlights walking trails, indicating routes which are not waymarked and/or steep and difficult to follow. Symbols show locations of mountain refuges, campsites and other accommodation, climbing and canyoning sites, etc. Road network indicates car parks, petrol stations and local bus stops. An enlargement shows the Sanctuari de Lluc area in greater detail at 1:10,000. The maps have a 1-km UTM grid plus latitude and longitude margin ticks at 1’ intervals. Map legend includes English. Recommended - Mallorca North Walking & Cycling Map & Guide set from Editorial Alpina, with a double-sided, contoured and GPS compatible map at 1:25,000, plus a booklet with English language descriptions of 90 hiking routes from various locations. The map covers two areas on the north-eastern coast of Mallorca: one side Cap de Formentor with Cap des Pinar between Pollença and Alcúdia, plus on the reverse Cap de Ferrutx with Artá and Capdepera including the 'Parc Natural de Llevant'. Contours at 10m intervals enhanced by relief shading and vegetation colouring present the topography. An overprint highlights waymarked local hiking trails and GR routes, mountain bike trails indicating difficult sections, plus cycling routes. Symbols show different types of accommodation including campsites, climbing sites, locations of car parks and petrol stations, etc. the maps have a 1km UTM grid. Map legend includes English. The promotion of walking in Mallorca on the dry-stone paths is considered to be an excellent way for the acknowledgement of the dry-stone walling heritage and the support to an activity within reach of everyone regardless of fitness and age. For those who enjoy walking this is an easy way of covering the whole territory and taking pleasure in the landscape and in what the path has to offer (history, art, tradition, legends, etc). The Consell de Mallorca began this promotion restoring and signalling the ways of heritage or walking interest. Subsequently, they brought on more ambitious initiatives in the form of two walking routes: the Dry-stone Route and the Artà-Lluc Route. These routes meant the creation of itineraries and simultaneously they are a way of revitalising the economy of the adjoining towns, respecting the environment at all times. Walking helps to recover heritage elements linked to the route, strengthens new touristic products and creates a new leisure offer for residents. Furthermore, it contributes to promote regional gastronomy and craft work and thus to recover farming and traditional trade, favour the creation of local companies, etc. The two aforementioned projects are GR (long-distance) paths, meaning pathways with a distance over 50 km, signalled and approved by the Spanish Climbing and Mountain Sports Federation. These GR paths are signalled by markers and direction signs. Markers are wood posts with indicating arrows displaying the GR colours (white and red). Direction signs have a sign indicating the type of path, its number, destination and, when deemed convenient, the approximate walking time. For more information see the excellent pages provided by the Consell de Mallorca on Walking in Mallorca. WALK! GR221 MALLORCA S LONG DISTANCE TRAIL - THE DRY STONE WAY If you want to get away from it all , there is no surer way than strapping on your boots, shouldering your backpack, and embarking on a long distance path; and there are few long distance paths more beguiling and more crammed with adventure than Mallorca s GR221, La Ruta de Pedra en Sec or The Dry Stone Way. Anybody who has visited Mallorca will appreciate the justice of the GR221 s title. Following ancient bridleways along the length of the Tramuntana range, from Port d Andratx in the southwest to Pollença in the northeast, the GR221 touches on dry stone in its every manifestation, from the raw rock of the peaks and sweeping fields of karst to the tailored stones that have always been the island's building material of choice. Mallorca at 1:100,000 on a double-sided cycling map from Editorial Alpina printed on light, waterproof and tear-resistant plastic paper. Roads are classified according to density of traffic and six route profiles are included. The map is double-sided, dividing the island east-west with a small overlap. Your problem is solved. Be master of your own time by taking advantage of our Motorbikes, Scooters and Bicycles for Hire and discover Mallorca. RENT MARCH has a large selection of Various types of Bicycles, 125cc and 50cc Scooters plus Motorbikes and Quad bikes for hire by the day or week. To drive away a scooter or motorbike all you need is your passport and driving licence, we can also arrange delivery and collection service to your hotel. Bike hire, sales and repairs, Nº 1 for prices and service. Every Day A Different Way, more than just a bike shop, we offer a summer program of family tours, active adventure tours and culinary bike tours. Official dealers of Silverback, Specialized, Planet X and Compa. We also sell maillots and accesories by GSD, SIDI, Continental, KROSS, Spiuk and CONOR WRC. We deliver to your apartment, villa or hotel and also provide Airport Transfers. Why hire a bike while you are on holiday? It helps you make friends, fights obesity, zero fuel and zero emissions, reduces the risk of heart attack, builds legs of steel, it's easier and faster than walking, and it puts a smile on your face. Established in 2005, MULTI-HIRE is a friendly, family run business. Quality Felt road bikes, MTBs, hybrid, electric and city bikes for the whole family from €8 a day. We have a wide range of mobility equipment. All the baby equipment for peace of mind on holiday with little ones. Sunbeds - why pay €15 per day on the beach? Book now, 2 sunbeds with parasol for less than €6 a day. You need it, we've got it!! Find us on Trip Advisor.